A Portuguese enclave during the colonial era and all the way up to 1961, Daman has a long coastline and a little town center, divided in two by a river. 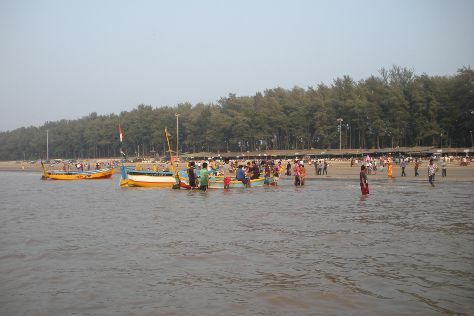 Escape the urban bustle at Jampore Beach and Tithal Beach. Your itinerary includes some good beach time at Devka Beach and Bordi Beach. Explore the numerous day-trip ideas around Daman: Dahanu Beach (in Dahanu) and Silvassa Vasona Lion Safari (in Silvassa). Next up on the itinerary: take in nature's colorful creations at Mirasol Lake Garden. For other places to visit, ratings, photos, and other tourist information, read our Daman trip planner. Finish your sightseeing early on the 6th (Sun) so you can travel back home.